Cannabis is brimming with cannabinoids that will treat red and inflamed skin conditions, even those that are persistent and pharmaceutical-resistant. Skin is enjoying a moment in the spotlight with some important pre-clinical and small clinical trials relating to cannabis medicine. Some dermatologic diseases are inflammatory in nature (eczema, psoriasis, acne and dermatitis), which makes these good candidates for cannabis therapy. Cannabis, in particular CBD, has been shown to have powerful anti-inflammatory effect. Other diseases of the skin, such as skin cancer, occur through disturbances of different cellular mechanisms, but cannabinoids have promising pharmacotherapeutic effects here as well. A specific cell type, called a sebocyte, is responsible for the production of sebum. 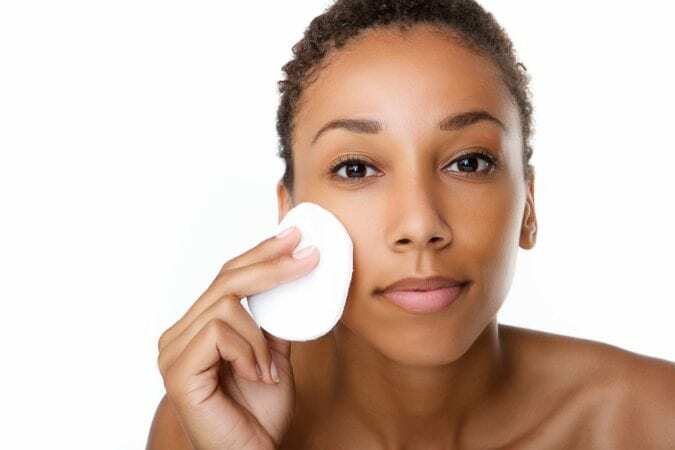 It is the dysregulation of sebum production that leads to acne. It has been discovered that sebocytes contain CB2 receptors, but lack CB1 receptors. 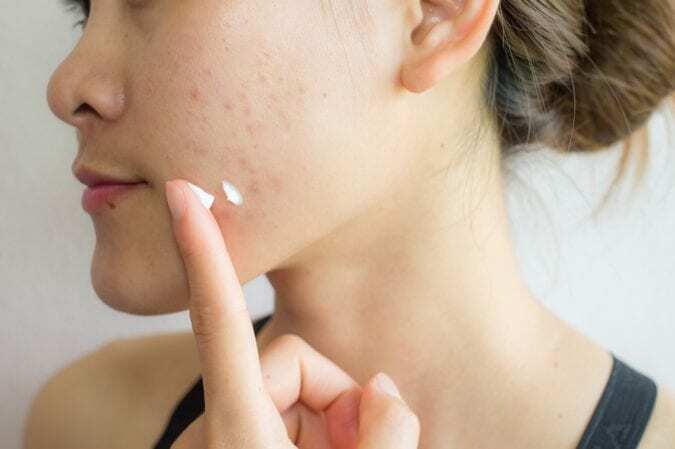 These cells also have endocannabinoids that are involved in increasing lipid production (which leads to acne) and causing the death of the sebocyte (which reduces acne) – both through CB2 receptor signalling. Another group of researchers found that the cannabinoids: CBC, CBV and THCV, all reduced lipogenesis in sebocytes and demonstrated anti-inflammatory properties. Finally, the most direct evidence was provided by one small single blinded comparative study that found that a 3% cannabis extract cream used on the face for 12 weeks significantly decreased sebum levels in comparison to a control non-cannabinoid cream. It also reducing the swelling that is accompanied by acne. 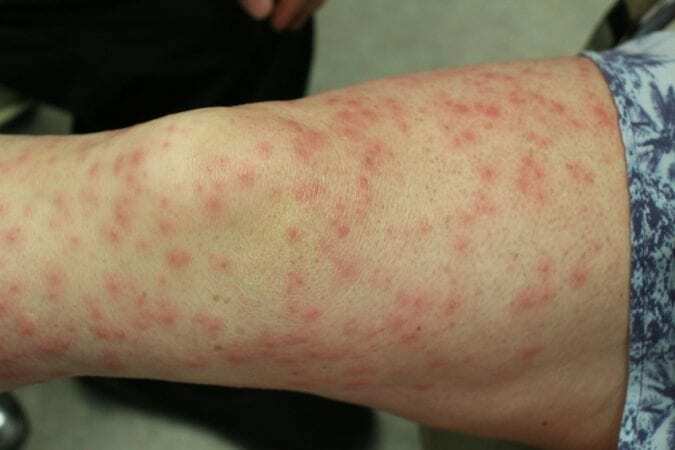 Contact dermatitis is characterized by the appearance of an itchy, red rash after touching an item for which there is an allergy. This can be anything, from certain types of metal to latex. Cannabis could have beneficial effects in this case because inflammation is at the root of contact dermatitis, and cannabis has strong anti-inflammatory properties. To date, pre-clinical studies indicate that CB2-selective antagonists, like CBD, decreased inflammation in a mouse model of allergic contact hypersensitivity. One of the most common manifestations of eczema is a very persistent itch of the affected area. The endocannabinoid, anandamide, has been shown to have anti-itch properties, through interaction with its cannabinoid and vanilloid receptors in skin cells, called keratinocytes. Another study described the effect of THC in reducing eczema symptoms through decreased production in keratinocytes – molecules involved in inflammation. Anti-inflammatory properties of cannabis make it a very promising pharmacotherapeutic for eczema. 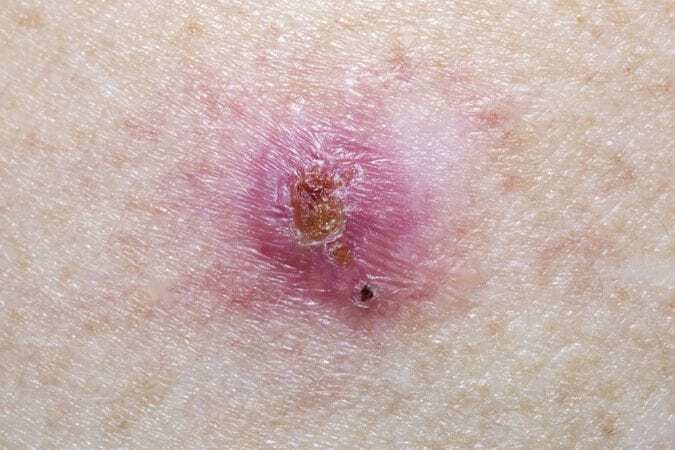 This skin condition speeds up the life cycle of keratinocytes, leading to accumulation of dead skin cells on the surface, resulting in redness, itchiness and sometimes even pain. Cannabinoids have shown significant promise in treating psoriasis, by preventing the accumulation of dead skin cells. Cannabis also has immunomodulatory effects that ultimately lead to a reduction in inflammation, and thus less redness and itching. This excessively fast life cycle of keratinocytes has been shown to be slowed down with cannabinoids in keratinocytes grown in a Petri dish, and the potential mechanism has been suggested to be mediated by CB1. In order for cannabinoids to have therapeutic potential in skin cancer the cancer would have to have receptors available for binding and that binding would result in cancer cell death. Indeed, both melanoma and non-melanoma cancer cells express CB1 and CB2 receptors, and one study argues for a more prominent role of CB2 in anti-malignancy actions of cannabinoids. Activation of cannabinoids receptors, and CB2 receptors in particular, leave skin cancer cells incapacitated, while leaving the normal healthy cells intact. Treatment of melanoma cells with THC leads to cancer cells committing suicide, and treatment with Sativex-like mixture of 1:1 THC and CBD has shown great ability to inhibit viability of melanoma cells. Preliminary evidence is plentiful, pointing to the great potential of cannabis to treat inflammatory skin conditions, as well as skin cancer. Development of cannabinoid-based pharmacotherapy will entail more rigorous well-designed studies that will establish their efficacy and safety profiles.